Accueil Methods Reiki Reiki, What Is This Hands-On Healing Method? Reiki is a hands-on healing method with its roots in Japanese origin. The practitioner transmits this healing energy through his hands to the recipient in order to encourage physical, emotional and mental healing. For many people who channel this energy, it can become a very important part of their spirituality. It’s a wonderful gift that can help you to change your life for the better. It is an ancient healing form. Love, Force and Light. It represents the energy of Unconditional Love. The essence of this method is to transmit the healing energies of the Universe through one’s hands to another being or even unto ourselves. We were all born with this Universal Life Force, because it is the energy of life. It became available in the 20th century for everyday people due to the activities of Dr. Mikao Usui. His system today, Reiki Usui Shiki Ryoho, is also known as the Usui-Style Universal Cosmic Life Energy Method. Dr. Chujiro Hayashi was the successor of Dr. Usui, who created the guidelines of this healing method. Mrs. Hawayo Takata brought this method from Japan to the West in 1937. She left us the Western traditional story. 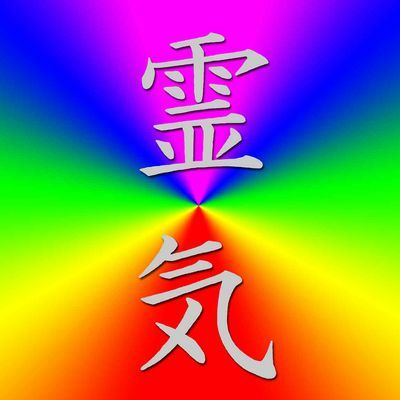 The top kanji, Rei, describes the unlimited and universal aspect of this energy. The bottom kanji, Ki, represents life force energy that guides every living being. The energy of Reiki is not equal to the bioenergy used by natural healers. Reiki energy is one of the highest classes of energy in the Universe, is the divine type. It works regardless of world view therefore it is for both believers and atheists. It is not contrary to the teachings of any religion or denomination. Many people think at Reiki as a manifestation of divine love. They can use it with their prayer and devotional practice. THE UNIVERSAL MISSION OF THIS HEALING METHOD IS TO RAISE OUR SPIRITUAL LEVEL. It’s a holistic healing technique and has an effect on the completeness of the triad of body, mind and spirit. The skills and techniques associated with this method are simple and easy to learn. Adults and children can equally comprehend and incorporate this ancient form of healing into their lives. After your Reiki First Degree attunement you become a channel and directly connected to a powerful, divine healing energy source. You can channel it through your hands. It is an absolutely safe and very powerful way of channeling healing energy. While you transmit this energy, it charges you at the same time. If you have further questions, please contact us here. We’d be glad of your help. If you want to enroll in our Reiki Course, please check our class schedules. Reiki Attunement: What Happens On a Reiki Initiation?